Red Pelican Strategies is a full service communications and governmental relations firm that has quickly established itself as a premium brand for solid communications work in Louisiana’s unique political environment. Red Pelican is proud that our team members’ combination of broad communications experience and innovative tactics have made us one of the most effective political communications teams in Louisiana and have consistently led us to obtaining the most important thing for all our clients — results. The Red Pelican team unites a group of skilled, creative individuals whose experience includes successful local and statewide campaigns, issue advocacy initiatives, association and nonprofit management, state and national coalition building, and years of experience in legislative and government offices at the local, state and federal levels. 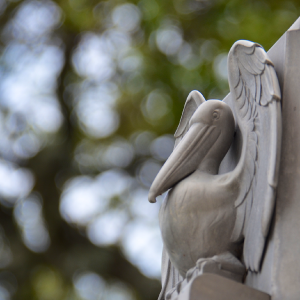 Through Red Pelican’s extensive network within Louisiana’s private and public sectors, we have established a strong foothold in the Pelican State’s public affairs arena over the past several years. Red Pelican has worked with everyone from established Fortune 500 companies to new nonprofit organizations. We’re confident we can help you succeed on any project, large or small. The Red Pelican team has a broad variety of experience in our industry. We have also developed a strong network of vendors, suppliers and specialists we can work with to meet the goals and deadlines of any project. No matter what you need to get accomplished, Red Pelican will make sure it’s taken care of. A founding member of Red Pelican, Jacob serves as President and manages the daily operations of the firm’s practice areas. Jacob is a governmental relations and public affairs professional focused on issue advocacy, legislative action and political campaigns – specializing in message development, legislative strategies, event planning, traditional and social media tactics and grassroots/grasstops outreach and mobilization. Morgan serves as Vice President and focuses on the firm’s Regulatory Affairs, Policy and Compliance practice areas. As an attorney and policy professional, Morgan specializes in issue management and strategy. He works with the Red Pelican team to provide an insider’s perspective on issues for our clients. From grassroots movements to Fortune 500 companies he helps them to navigate Louisiana’s unique legislative and executive branch processes. Thea R. Scott is a Louisiana Attorney and policy researcher. Staying on top of Louisiana’s latest legislative activity has helped Thea become an expert on Louisiana law and policy. She uses this knowledge and experience to help the Red Pelican team craft custom campaigns for our clients, taking Louisiana’s legislative history, legislator behavior and her own independent research into account.